G7 is an industry leading set of color specifications, first, for achieving gray balance, which in turn is the foundation for achieving visual simililarity and absolute color consistency. As you already know, a consistent use of your brand’s color is a powerful tool in building and maintainting consumer confidence in your product. 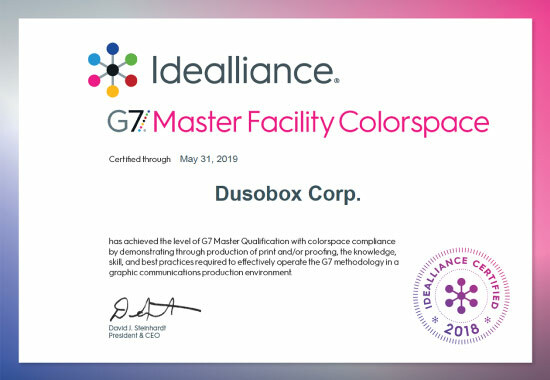 Here at Dusobox, we are a G7 Master Qualified Facility on all of our printing processes, including digital, offset and flexographic.